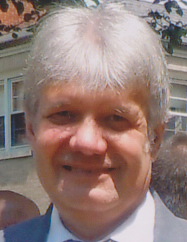 Timothy “Tim” Mark Wiater, 61, of Bridgeport, passed away on Friday, January 18, 2019 in Wheeling Hospital. He was born on September 17, 1957 in Martins Ferry a son of the late Stanley “Sam” and Anna (Butch) Wiater. He was a member of St. Joseph Catholic Church; retired from the U.S. Postal Service after 31 years of service; was also a member of the Foresters Club and was an active member of the Lansing Sportsman Club where he was the treasure for over 20 years and played an active role in all of the club’s activities. Tim was an avid Ohio State fan and enjoyed following his daughter's sporting endeavors while she was in school both at St Joseph's Grade School and St. John's Central High School. Tim is survived by his wife of 35 years, Annette (Gdula) Wiater of Bridgeport; a daughter Anne “Annie” (Bill) Johnson of Stow, OH; a son, Luke Wiater of the home; a sister, Judith Wiater; a sister-in-law, Linda Wiater; a nephew, Justin Wiater and a niece, Corey (Chris) Kerr. 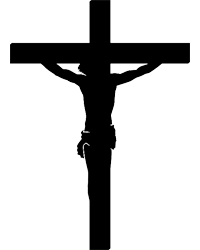 He was preceded in death by his parents and a brother, John Wiater. Friends may call Monday from 2-6 pm in the Wilson Funeral Home, 920 National Rd, Brookside. A Mass of Christian Burial will be held Tuesday at 10 am in St. Joseph Catholic Church, 68210 Neola Ave, Bridgeport, with Father John Mucha officiating. Burial will follow in Union Cemetery.